The next Rainbow Alliance of the Deaf conference is scheduled to take place in Montreal, Quebec, Canada from August 6 – 11, 2013. Learn more. 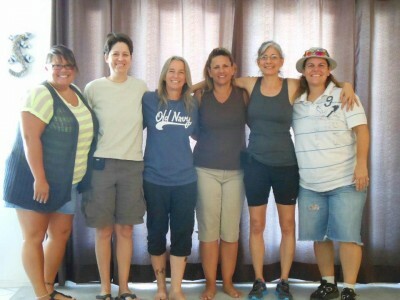 The next Deaf Lesbian Festival will take place from June 4-8, 2014, in Phoenix, Arizona. The 2014 DLF Committee is already hard at work organizing the event. Committee members are (as pictured) Erica Calders, Carol Newman, Kathleen Ferguson, Delynn Saunders, Donna Neri, and Suzi Scaletta. Not shown, but also part of the committee, Jennifer Simpson and Sharon Levine.